Its truly sad what has happened. May his soul rest in peace and may his fight and the fight of all Ugandan LGBTI rights defenders and all others in EA grow in heights. A martyr he has become. 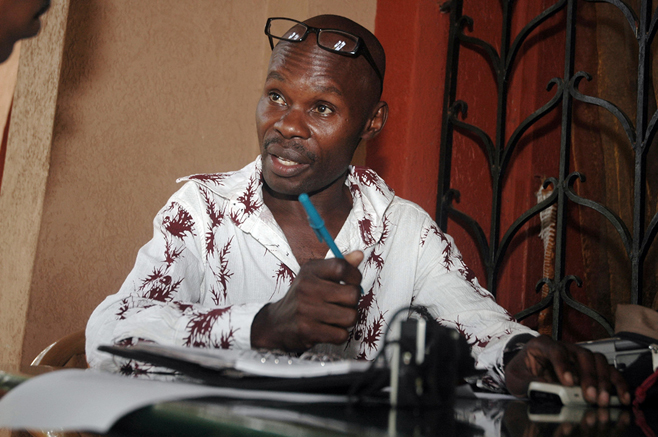 Human Rights Watch is calling on Uganda to promptly investigate the murder of David Kato, a prominent lesbian, gay, bisexual, transgender and intersex (LGBTI) activist working for Sexual Minorities Uganda (SMUG). A man entered David's home today and assaulted him with a hammer. He died on the way to hospital. David was on the front cover of the Rolling Stone tabloid with the headline "hang them." David was one of the plaintiffs in the successful lawsuit against the Rolling Stone. What a terrible thing! Thank you for posting this, Lindsay. This is truly tragic for all concerned. Hateful thugs cannot be allowed to win the day. 2010: My Best Year EVER!! !